Hi. My name is Amanda. I'm a Registered Nurse and survivor of preeclampsia. On Tuesday, August 28, 2018, I was officially diagnosed with preeclampsia. My symptoms, however, started the Saturday before. A severe headache, nausea, and an overwhelming feeling that something wasn't quite right prompted me to contact my OB; it was clear that these symptoms weren't going away. Testing started Monday morning, and by Tuesday afternoon had resulted. Preeclampsia. My OB recommended a foley bulb induction, scheduled for the following morning. I never made it to that induction. I went into labor at home about 2 hours after the diagnosis was made. Once at the hospital, an epidural was started, which brought contractions to a halt. Pitocin was started and I labored through the night, only reaching 3cm of dilation. My OB broke my water early Wednesday morning, August 29, 2018, and within an hour and a half, my beautiful daughter was born without complication, despite the fact that she was premature (born at 36 weeks and 6 days gestation). I began feeling "weird" about 18 hours after her delivery, but couldn't place my finger on what this feeling was. As a nurse, it was frustrating not being able to articulate what was happening inside my body, yet feeling like something was desperately wrong. Within minutes, I began to seize. My preeclampsia had now turned into eclampsia. As it's been described to me, the nurses were scrambling, not completely sure what to do or how to proceed in light of these new symptoms. The seizure I experienced was not a "textbook" eclamptic seizure. It was a focal seizure, not characterized by severe whole body convulsions, but rather by diminished responsiveness and smaller, less dramatic convulsions. The seizure went unrecognized and appropriate interventions were not initiated. Thankfully, my body resolved this eclamptic seizure without the need for medication intervention. My OB had made it up to Labor and Delivery about 15 minutes after being notified, and my blood pressure was re-assessed. 160/100. This was the first time throughout my preeclampsia journey that my blood pressure was noticeably elevated. My OB gave a verbal order for a magnesium bolus. Unfortunately, magnesium was not the medication that was placed on the IV pole. Mistakenly, the nurse had grabbed a bag of ropivacaine, a local anesthetic that is used only for epidurals, and infused that. I started convulsing again, but the reason why was uncertain to hospital staff. I have no personal history or family history of seizures or other neurologic illnesses that would attribute to these continued convulsions. I was transferred to ICU, the mistaken medication still in my veins. I'm not quite sure how the error was found. What I do know is that I received approximately 1/3 of a lethal dose of ropivacaine and antidote administration was delayed. The medication error went unnoticed by hospital staff for 2 hours. My ICU stay lasted 2 days. Most of the first day I spent in a comatose-like state. When I finally awoke, I remember feeling panicked, scared, and generally ill. The news of that morning's events were difficult to hear. Unfortunately, my story doesn't end there. I continued to have seizures after discharge. Several lesions were noticed on my brain, but testing was not recommended by the neurologist as "I had just had a baby." My husband and I sought a second opinion. Four hospital stays in 3 months led to an official diagnosis: "Localization-related epilepsy and epileptic syndromes with simple partial seizures." It's been over 5 months since the birth of my daughter, and I'm still regulating seizure activity with medication. I have little memory of the first three months of my daughter's life. While these lasting physical effects and the emotional heart-break of missing so much of my daughter's first days remain, I stand thankful to be alive and share my story. This brought me to tears, this is my second pregnancy. Im almost done. Im 31 weeks pregnant with our first girl. With my son i was 37 weeks and 4 days and i just felt like i needed to go to the doctor. No symtoms, i just wanted checked that i was ok and our son. I got hooked up to moniters and my bp got higher and higher. They ran test and they cought my preeclamsia very early, they put me into labor that day. I had my son at 37 weeks 5 days. 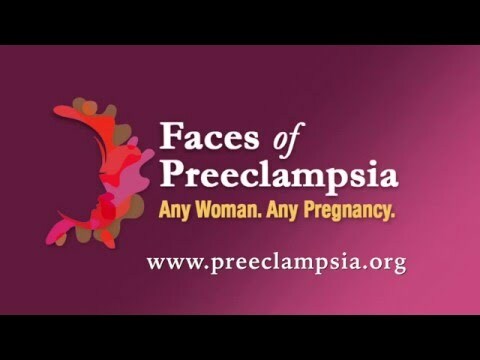 Ive read about preeclamsia, and i was scared it come sooner this pregnancy. Im still scared. Your story has put me into tears, im so sorry youre still dealing with that on the regular. I had no idea it could get so bad..